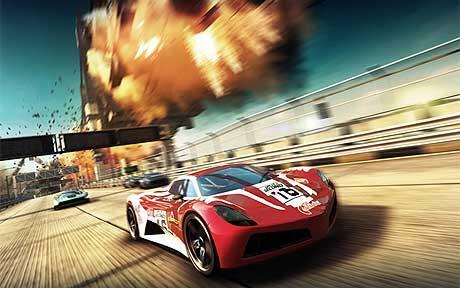 Split/Second: Velocity is a game that a couple of years ago had a good success and today remains providing fun with its thrilling car races in which the show is guaranteed. Although available in desktop, the small Sony PSP consoles adapts perfectly to this game, where what matters is the gameplay, and not so much on the visual aspects, which are limited to be correct. The Split Second Velocity strategy will also be a key factor in career development; it must be taken into account that any unexpected circumstances can influence the classification. We must be careful and know how to be, as it always better to go first. The design of the tracks are pretty worked and always have the feeling of experiencing new things and not get bored as with other titles that repeat the circuits and limit the freedom of action of the player. In this case the races are very varied and sometimes do not know if we have to act as drivers of the Dakar rally, circuit approved or crazy drivers who put their cars speeding through urban spaces.